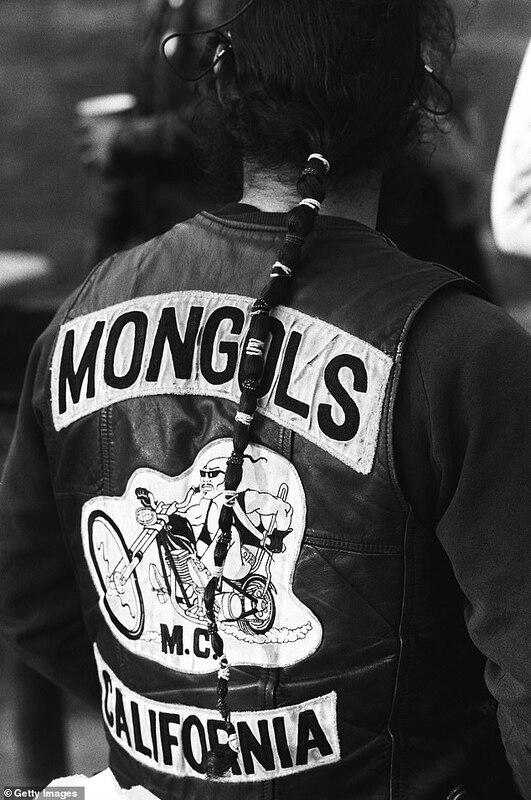 A California jury ruled Friday that the Mongols motorcycle gang should be stripped of its trademark logo – showing a Mongol warrior on a chopper – the first verdict of its kind, federal prosecutors said. 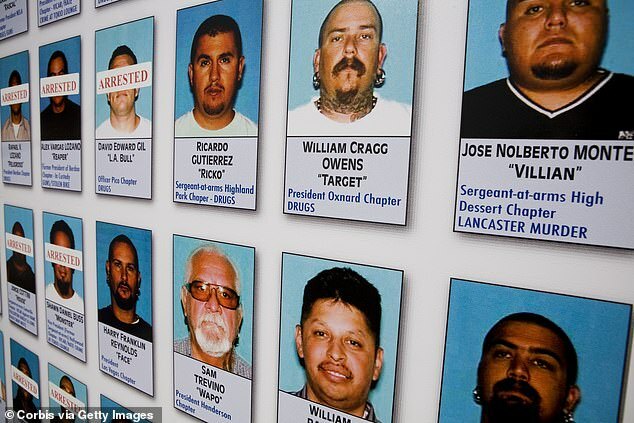 It’s an unusual end to a decade-long attempt by prosecutors to dismantle the gang responsible for drug dealing and murder by seizing control of the trademark they said was core to the gang’s identity. It comes after the jury in U.S. District Court in Santa Ana had found Mongol Nation, the entity that owns the image, guilty of racketeering and conspiracy. 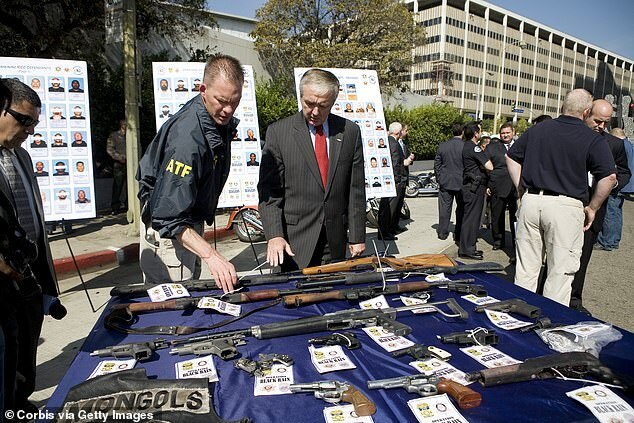 Gang members were ’empowered by these symbols that they wear like armor,’ Assistant U.S. Attorney Steve Welk said. The forfeiture still needs to be approved by a federal judge and the practical effect of such an order was not immediately clear. When prosecutors announced the charges in 2008 they said a forfeiture order would allow any law enforcement officer to stop a gang member and ‘literally take the jacket right off his back,’ according to court papers. Prosecutors wouldn’t comment Friday on what would happen going forward. But defense lawyer Joseph Yanny questioned whether the judge would actually issue such an order and said the novel theory was ill-conceived. Yanny, who is challenging the convictions, argued at trial that the organization was a club, not a gang, that didn’t tolerate criminal activity. In November, former pro wrestler and Minnesota Gov. 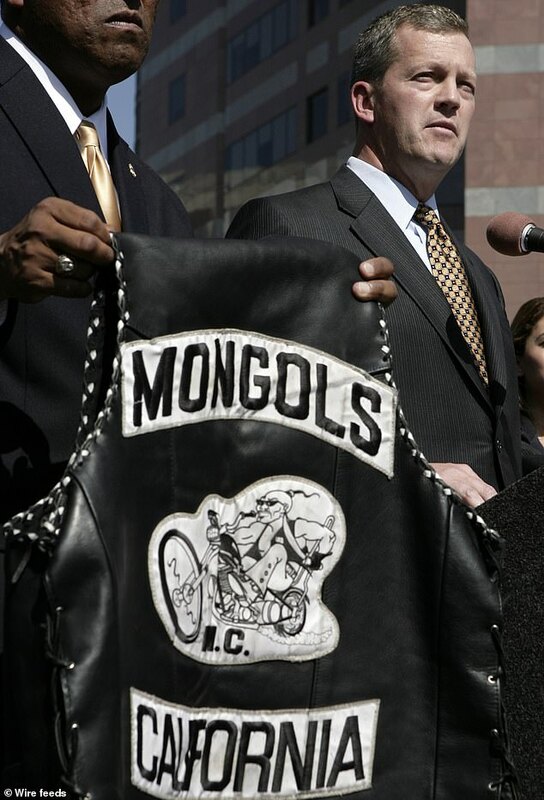 Jesse Ventura testified for the defense, denying the Mongols were a criminal gang. Ventura said he neither committed crimes nor was told to do so when he was a Mongol in the 1970s. But jurors found the Mongols were a criminal enterprise responsible for murder, attempted murder and drug dealing. Killers in the gang were awarded a special skull-and-crossbones patch, Assistant U.S. Attorney Christopher M. Brunwin said. He told jurors about the killing of a Hells Angels leader in San Francisco, a Nevada brawl in 2002 that left members of both clubs dead, and the death of a Pomona policeman who was killed as he broke down the door of a Mongols member to serve a search warrant in 2014. The effort to take the logo followed the racketeering convictions of 77 gang members in 2008 after U.S. Bureau of Alcohol, Tobacco, Firearms and Explosives agents infiltrated the gang. Four male ATF agents became ‘full-patch’ members and four female agents posed as their girlfriends during the lengthy investigation. ‘Being a Mongol promises you one of two things – death or prison,’ a member told one of the agents who received a coveted patch, prosecutors said. The Mongols was founded in a Los Angeles suburb in 1969. The group is estimated to have more than 1,000 riders in chapters worldwide. 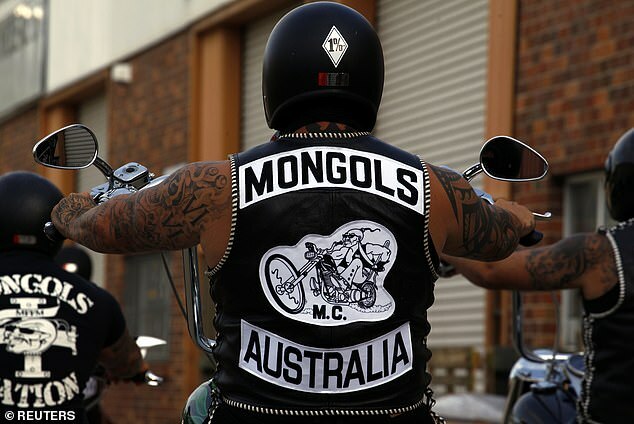 The verdict will lead to the forfeiture of the gang’s legal interest in the word ‘Mongols’ and some of their patches, as well as Mongols items seized during the investigation, prosecutors said. A judge could also impose fines at a future sentencing hearing.